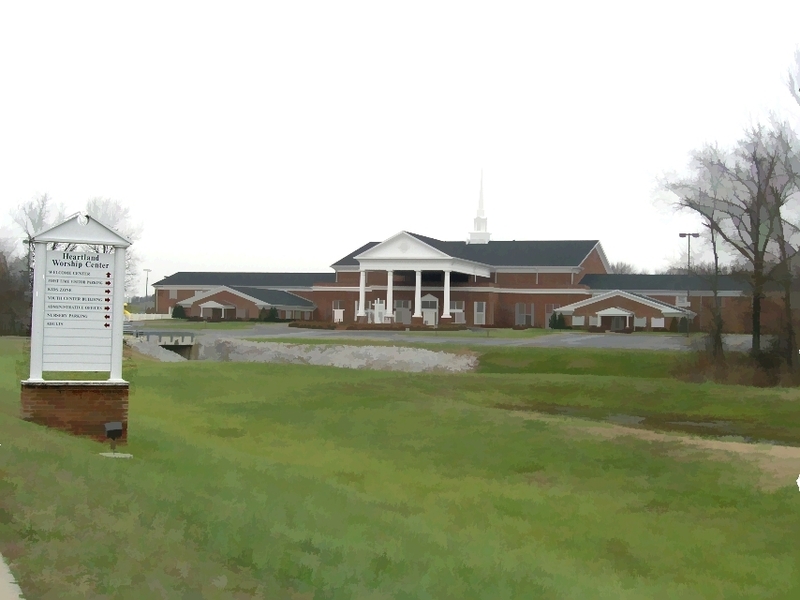 Heartland Worship Center, Paducah, Kentucky. This was a competitively-bid project, but was over-budget by a considerable amount. Using value engineering methods, Cleaver Construction was able to carve over 2 million dollars out of the original design, maintaining the Owner's needs intact in the process while substantially reducing costs. Metal building structure, metal stud and gyp. walls, poured concrete flooring over metal deck, brick veneer exterior. Built by Cleaver Construction Company and various subcontractors.